Developing student's creativity, critical thinking, communication, collaboration and citizenship skills can be streamlined using a learning management system to effectively harness digital tools. Many collaborative tools can be linked to a learning management system to aid in learning. 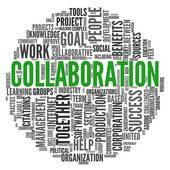 Students might collaborate on documents or online projects, create wikis, or brainstorm digitally. Tools for communication to be used within or linked to a learning management system. You can choose one-to-one, one-to-many, or many-to-many. Tools will serve different communication purposes but may include: blogging, co-authoring documents, screencasting, social media, discussion boards, email, wikis and immediate in-class feedback.